You may remember we've already made an announcement of 100k back in July and may be wondering: "wha...who...why"? Well, that announcement was made by AndroLib, an unofficial market tracker that uses multiple sources (marketplaces) and includes removed apps into the count. Today marks the first time we see the number "100,000" associated with the Android Market. Or, wait, no we don't - remember this, this, this, and about 5 million other posts? Let me try again. 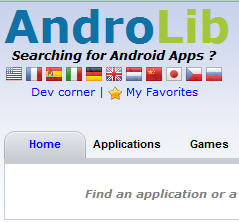 Don't be confused by the discrepancies in the official count and AndroLib - as we explained before, they count many markets (not just the official Android Market) and don't account for unpublished apps.